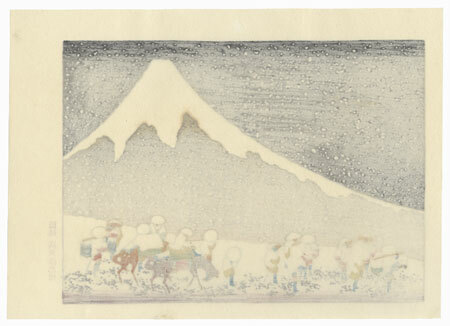 Fuji in Deep Snow - Lovely reprint from Hokusai's series "100 Views of Fuji." 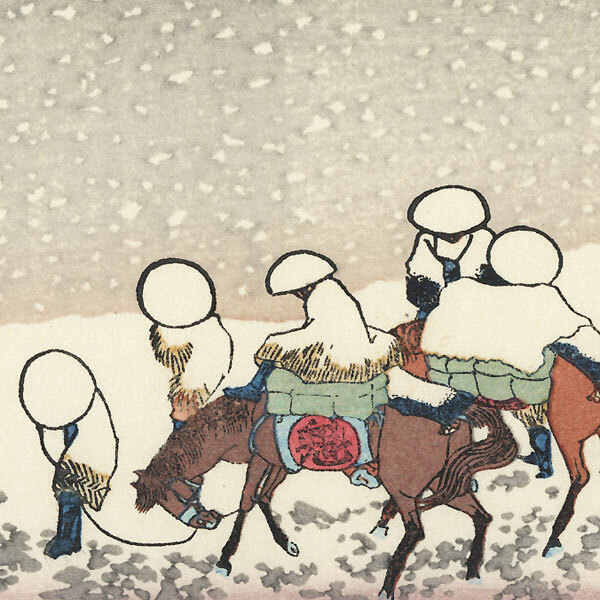 Travelers make their way through a heavy falling snow, their straw coats and hats blanketed with snow. Mt. Fuji rises silently behind them, filling the landscape. 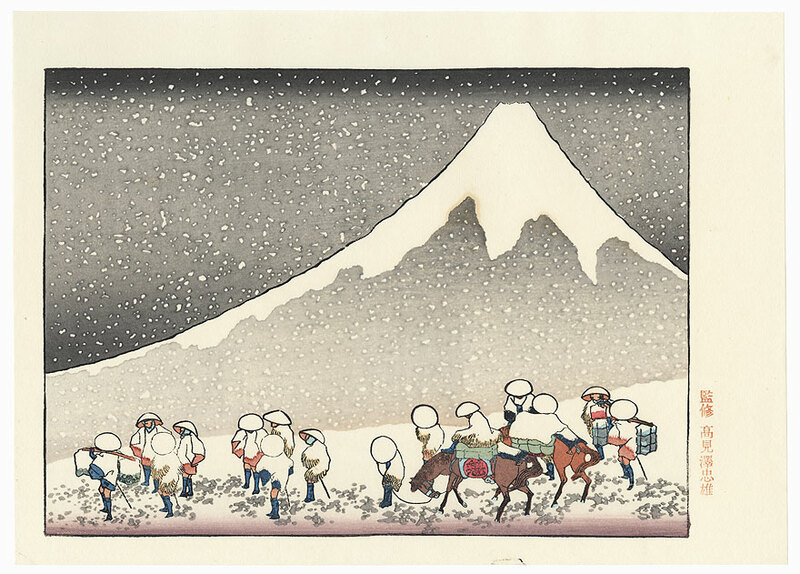 A wonderful design with embossing on the snow and soft shading in the sky and mountainside. Condition - This print with excellent color and detail as shown. A couple faint stains. Please see photos for details. Good overall.